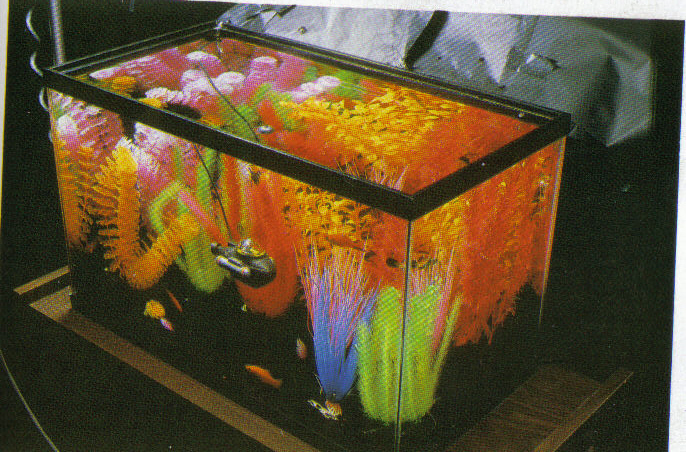 This is the most fun nest part you now get to decorate your aquarium. An aquarium can help bring the artistic side out of you. 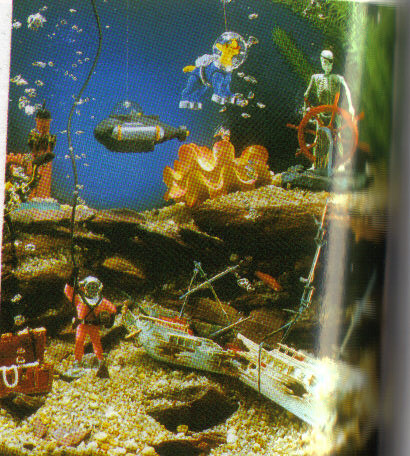 You can decorate your aquarium however you want like these aquariums. Now that you have everything for your aquarium lets get started. You must follow all these steps carefully and in order. 1. Take your empty aquarium and rinse it out with water to get rid of all the dust inside of all the aquarium. Do not use soap because it will soak into the aquarium and when it is set up it will release the soap into the water, killing your fish. It is best if you use aquarium salt to wash out the tank because it will help kill all the bacteria and help make it ready for the fish, it is best to use the aquarium salt if the aquarium is not new, do not use an aquarium that was used for anything else other than fish. Do not clean the inside of the aquarium with a rag or paper towel, just use specially made scrubbers to clean the glass. 2. Carefully lift the aquarium, making sure giving even support while carrying. Put the aquarium on the stand and make sure it has good support and that it is on a flat even surface. Remember each gallon weighs 10 pounds. 3. Now you can add the gravel. Pour the gravel into a empty bucket and gently, trying not to chip the color on the stones, pour them in while mixing water with them and mix them with your hand, then gently dump the water. By doing this it will wash away all the dust from the stones which would kill the fish. Keep doing this until the water that you pour out is clear. Now that the stones are clean, gently pour them into your aquarium. Slope the gravel so it is higher at the back and shrinks at the front. This will help the wastes settle in the front and it will make the biological filter thrive. 4. If you are using any decorations rinse them in water and add them now including fake plants. It is best if you do not get any drift wood or rocks outside to put in your aquarium because they will contain toxins that will contaminate the water. If you do use anything outside, boil them to release all the toxins and dump the water do this three times then most of the toxins should be out. It is best to use specially made decorations in your aquarium because they will not contain toxins. Now put in your air pump/filter and heater but do not turn them on yet. 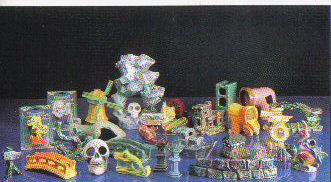 Here is a picture of some decorations. Here are also some fake plants that are not as good as real ones. 5. Now you can add water. When you are adding the water in your aquarium, hold a pan in the tank and pour water on that or you can use your hand, to avoid disrupting your decorations and gravel. 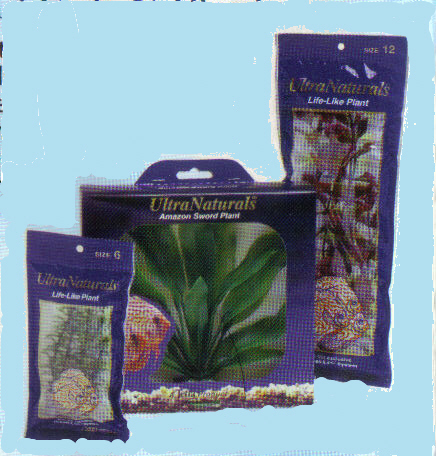 If you are using live aquarium plants, stop adding water at half way and then you can put your plants in. If you are not using live aquarium plants, which is not recommended for most fish, fill the aquarium the rest of the way. By planting your plants at half way, this will help them have better support and well adjusted. If you get more plants later when the aquarium is established, you can add Plant Saver, a chemical that will give your plants a boost and help them live. 6. When you add your water it could have ammonia or chlorine and chloramines. There are five different tests you should do to your water and they are pH, ammonia, nitrite, nitrate and water hardness. 7. Now that you tested your water it is time to treat your aquarium water so it is safe for your fish to swim in it. A very good chemical to use is Stress Coat. It is made with aloe vera (a plant that is used for wounds) and it will help replace their protective slime coating, that fish need in stress and to protect them from diseases. It will also remove chlorine, detoxify heavy metals and it will neutralize chloramines. It is best to add ten drops a gallon. 8. Another chemical you should add now is Stress Zyme. Stress Zyme is a living bacteria that will help the good bacteria in your aquarium by giving them a boost.